It’s that time of the year again when all eyes even partially interested in the world of film turn to the French Riviera. For a week and a half, this time from 13-24 May, Cannes bridges the gap between glamour and obscure arthouse cinema, bringing mega stars and international filmmakers together on the Croisette. It’s possibly the only festival with the clout to land wide cinematic releases for films that don’t involve superheroes and CGI, and, shock horror, dare to be in a language other than English. The early attention has been on the selfie ban – even Hollywood stars must not go selfie mad on the red carpet this year – and the complete absence of British filmmakers. But with the festival kicking off on Wednesday, attention should shift back where it belongs; onto the films. So just what does this year have to offer? The Official Competition strand draws most of the headlines, and if it can sometimes seem like a stitch up that only allows old regulars in, this year seems determined to promote a new wave. After Emmanuelle Bercot’s coming of age opening night film La Tête Haute, the first film directed by a woman to open the festival since 1987, a number of faces new to the Palme d’Or race appear. Greek director Yorgos Lanthimos moves into the big league with his English language debut The Lobster and it sounds even madder than his previous two efforts. Starring Colin Farrell and Rachel Weisz, it’s set in a world where people are liable to turn into animals. Norwegian director Joachim Trier also steps up with his follow-up to the excellent Oslo, August 31st. Also an English language debut, Louder Than Bombs stars Jesse Eisenberg and Isabelle Huppert. There’s even a debut launching straight in competition in the shape of László Nemes’ holocaust film Son of Saul. There are plenty of old faces as well though. Former Palme d’Or winners Nanni Moretti (The Son’s Room) and Gus Van Sant (Elephant) return with Mia Madre and The Sea of Trees respectively. Jacques Audiard, who by now must have secured a regular Cannes slot, brings Sri Lankan Tamil fighter drama Dheepan and Paolo Sorrentino follows up The Great Beauty with Youth, a film about an English composer played by Michael Caine. If that’s not enough, Todd Haynes adapts Patricia Highsmith in Carol, Justin Kurzel takes on the Bard with Michael Fassbender in Macbeth, Prisoners director Denis Villeneuve looks to keep his hot streak going in Emily Blunt starring crime drama Sicario, and veteran Taiwanese filmmaker Hsiao-Hsien Hou brings his long gestating martial arts epic The Assassin out at last. Outside the competition strand, another former Palme d’Or winner Apichatpong Weerasethakul finds himself relegated to Un Certain Regard with Cemetery of Splendour though he’s in good company. New films from the likes of Naomi Kawase (An) and Alice Winocour (Maryland) also feature. And then there are the unofficial strands that often provide the most exciting new films. Don’t forget the glamour either. 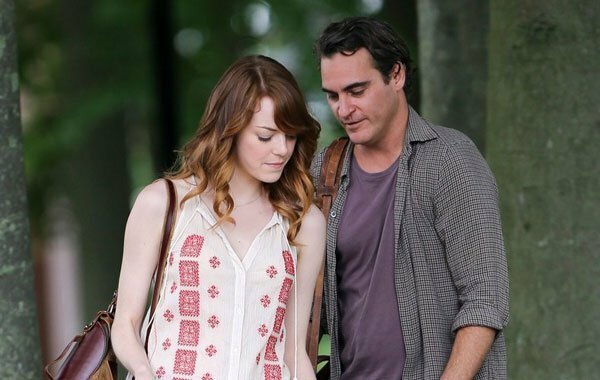 Out of competition screenings this year include Woody Allen’s new film Irrational Man, Pixar’s hopeful return to form Inside Out, and Tom Hardy as Mel Gibson in Mad Max: Fury Road. So basically there’s everything. And I’ve only named a fraction of it. That’s the magic of Cannes. Now make sure to check back here for updates throughout the festival. The High Sun, dir. Dalibor Matani?